UP TO 30 DAYS NO RESTART! 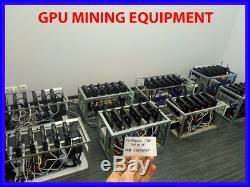 THIS IS EXTREMELY AMAZING FOR MINING RIG. OPTIMIZED FOR BEST PERFORMANCE & STABLE WORK. LOW TEMPS 50-55C DURING MINING. BEST ROI GPU ON THE MARKET! ONLY LAST 2 UNITS AVAILABLE! A newly built high-end 6 x SAPPHIRE RADEON RX 470 8GB MINING EDITION (SAMSUNG MEMORY) GDDR5 mining rig. All parts are new OEM including all original manufacturers warranties. The rig has been configured to mine Ethereum and will be delivered ready to commence mining. And you will learn something new. We can pre-install your Ethereum wallet address into the pre-installed mining software (Claymore config). So it will launch automatically and start mining into your wallet. Guidance materials and after sales setup support will be provided if needed. So do not worry if you’re beginner. Rig is ready to be used for the mining of cryptocurrencies like: Ethereum, Ethereum Classic, Zcash, Monero, Siacoin, Bitcoin Gold etc. The system is fully functional, and was assembled in February 2018. All parts are OEM and in excellent & brand new condition. HARDWARE INCLUDED IN THIS BUILD. 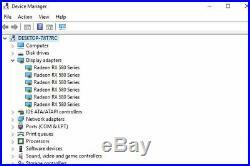 6x SAPPHIRE RADEON RX 470 8GB MINING EDITION (SAMSUNG MEMORY) GDDR5. 6x PCI-E Riser 008S Express 1X 4x 8x 16x Extender PCI E USB Riser 008S Adapter Card. ASUS EX-B250-V7 Expedition LGA1151 DDR4 HDMI B250 ATX Motherboard. 1x 60GB SSD DRIVE Solid state drive 2.5 inch SATA 3 Solid State Drive, black. 2x NZXT HALE82 V2 700W PSU. 1x 24 Pin Dual PSU part power supply extension cable for ATX Motherboards Mining Computer Splitter Lead Cable Connector (30 cm). 1x Crucial 4GB Single DDR4 2400 MT/s (PC4-192000) DIMM 288-Pin Memory – CT4G4DFS824A. 1x Intel Pentium Dual-Core G4400 3.3 GHz Processor CPU. 1x PC Case Mainboard Power on/off Push Button Switch Connector Cable. So order your 6x GPU frame. Or build your own. All parts will be packed professionaly. Assembly video will be included if you need it. Very easy to setup : Beginner friendly! 6x SAPPHIRE RADEON RX 470 8GB MINING EDITION (SAMSUNG MEMORY) GDDR5 (UEFI). 6x PCI-E Riser 008S Express. 1x 60GB SSD DRIVE. 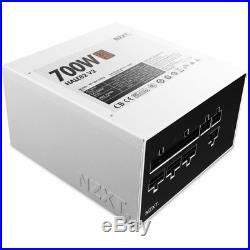 NZXT HALE82 V2 700W PSU. 1x Crucial 4GB Single DDR4 2400 MT/s. 1x Intel Pentium Dual-Core G4400 3.3 GHz. 1x PC Case Mainboard Power on/off Push Button. WORKS OUT OF THE BOX – FULLY CONFIGURED. 1x Yikeshu USB v3.0 Card Reset 24H Unattended Automatic Blue Screen Reset for Computer PC USB Watchdog Mining Miner. Automatic restart the blue screen crash is done, makes it specially used in mining, server, gamers, monitoring system. Can be used on a wide variety of computer motherboards. Motherboards only need a type A with a USB interface. V3.0 Watchdog card module timer, installed a manual switch butto, solving the problem caused by if the cast of the motherboard Button Switch machine interface switch fail. May also be used for windows x86/x64 system includes WinXP, Win7, Win8, WIN10. Need to install the rider to compatible with a variety of motherboards. Reset timeout 10 1270 seconds. You could use it as your requirements set up. Latest ethOS Genuine/Original (Activated) & SUPER STABLE. 30 days no restart! EthOS system is prepared for mining. WHAT ABOUT THE HASHRATE AND POWER CONSUMPTION? The testing phase also allows me to get the best of the rig hashrate-wise. As you probably know, the silicon lottery is a thing, which means that every GPU unit has its own unique overclocking and hashing potential. That being said, Ive build more than a dozen of rigs and all of them end up having roughly the same specifications. The expected fluctuation in power consumption and hashrate is between 3% and 10%, depending on the coin. 6x GPUs Mining Rig Hashrate. Ethereum (Ethash algorithm): 177 Mh/s 185 Mh/s. Ethereum dual mining Decred: 177 Mh/s 185 Mh/s ; 4,500 Mh/s 5,500 Mh/s. Ethereum dual mining Siacoin: 177 Mh/s 185 Mh/s ; 3,000 Mh/s 3,500 Mh/s. Ethereum dual mining LBRY Credits: 177 Mh/s 185 Mh/s ; 300 Mh/s 400 Mh/s. Ethereum dual mining Pascal: 177 Mh/s 185 Mh/s ; 1,300 Mh/s 1,500 Mh/s. Ethereum dual mining Pascal Lite: 177 Mh/s 185 Mh/s ; 1,300 Mh/s 1,500 Mh/s. ZCash (Equihash algorithm): 1,600 H/s 1,700 H/s. Monero (Cryptonight Algorithm): 4,000 H/s 4,500 H/s. Bitcoin Gold (Equihash algorithm): 1,600 H/s 1,700 H/s. 6x GPUs Mining Rig Power Consumption. Ethereum Solo Mining: 800w. Ethereum Dual Mining: 850w 1000w. ZCash Mining: 700w 800w. Bitcoin Gold: 750w 800w. This is done to make sure that you get the rig in perfect condition. This also allows me to make sure that all hardware is working as intended. INSTALLATION AND SETUP PLUG AND PLAY. All parts will be packaged separated. Assembly video will be included. Very easy to setup : Beginner friendly. Our mining rig is installed and configured by as follows. EthOS installation & full configuration. BIOS mod & flash for all GPUs – max performance, low power consumption. Setup for highest stable hashrate possible. Mining rig stability no restarts, no hashrate drops or glitches, etc. Undervolting GPUs for the best power efficiency possible. Set up with different miners so your rig can work with different algorithms such as Ethash, Equihash, Groestl, X11Gost, Lyra2REv2, NeoScrypt, LBRY, Blake (2b), Blake (14r), Pascal, Skunkhash etc.. All you have to do is put in your wallet address! 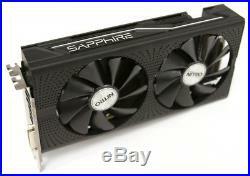 The item “ETH/ETC/XMR/ZCASH GPU MINING RIG 6X SAPPHIRE RX 470 8GB ME 180 MHS 800W” is in sale since Thursday, October 18, 2018. This item is in the category “Coins & Paper Money\Virtual Currency\Miners”. The seller is “gerakarma” and is located in Vilnius. This item can be shipped worldwide. Assembly date:: 2018 February. Brand New. OEM PARTS. Modification Description: Flashed BIOS. Max performance! Super stable. 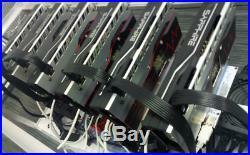 ETH/ETC/XMR/ZCASH MINING RIG GPU 6X SAPPHIRE 580 8GB PULSE 180 MH/S 800W WIN10 NOTE: ONLY 1 LAST UNIT AVAILABLE! A newly built (April 2018) high-end 6 x SAPPHIRE RADEON RX 580 8GB GDDR5 PULSE mining rig. All parts are new OEM including all original manufacturers warranties. The rig has been configured to mine Ethereum and will be delivered ready to commence mining. And you will learn something new. We can pre-install your Ethereum wallet address into the pre-installed mining software (Claymore config). So it will launch automatically and start mining into your wallet. Guidance materials and after sales setup support will be provided if needed. So do not worry if you’re beginner. Rig is ready to be used for the mining of cryptocurrencies like: Ethereum, Ethereum Classic, Zcash, Monero, Siacoin, Bitcoin Gold etc. The system is fully functional, and was assembled in April 2018. All parts are OEM and in excellent & brand new condition. HARDWARE INCLUDED IN THIS BUILD. 6x SAPPHIRE RADEON RX 580 8GB GDDR5 PULSE (UEFI). 6x PCI-E Riser 008S Express 1X 4x 8x 16x Extender PCI E USB Riser 008S Adapter Card. ASUS EX-B250-V7 Expedition LGA1151 DDR4 HDMI B250 ATX Motherboard. 1x Kingston SSD A400 120GB Solid state drive 2.5 inch SATA 3 Solid State Drive, black. 2x Corsair PSU TX750M 750W 9020133 EU TX M Series Part Modular Cable Management ATX Pc Power Supply, black. 1x 24 Pin Dual PSU part power supply extension cable for ATX Motherboards Mining Computer Splitter Lead Cable Connector (30 cm). 1x Crucial 4GB Single DDR4 2400 MT/s (PC4-192000) DIMM 288-Pin Memory – CT4G4DFS824A. 1x Intel Pentium Dual-Core G4400 3.3 GHz Processor CPU. 1x PC Case Mainboard Power on/off Push Button Switch Connector Cable. So order your 6x GPU frame. Or build your own. All parts will be packed professionaly. Assembly video will be included if you need it. Very easy to setup : Beginner friendly! 6x SAPPHIRE RADEON RX 580 8GB GDDR5 PULSE (UEFI) = RPR 420eur/each = 2520eur. 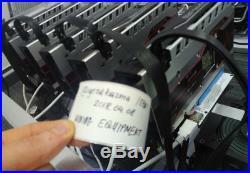 6x PCI-E Riser 008S Express = RPR 8eur/each = 24eur. 1x Kingston SSD A400 120GB = RPR 50eur/each. 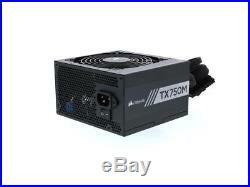 2x Corsair PSU TX750M 750W = RPR 100eur/each = 200eur. 1x Crucial 4GB Single DDR4 2400 MT/s = RPR 40eur. 1x Intel Pentium Dual-Core G4400 3.3 GHz = RPR 50eur. 1x PC Case Mainboard Power on/off Push Button = RPR 2eur. ACTUAL RPR VALUE: 3000 EUR = 3650 USD. 1x Yikeshu USB v3.0 Card Reset 24H Unattended Automatic Blue Screen Reset for Computer PC USB Watchdog Mining Miner. Automatic restart the blue screen crash is done, makes it specially used in mining, server, gamers, monitoring system. Can be used on a wide variety of computer motherboards. Motherboards only need a type A with a USB interface. V3.0 Watchdog card module timer, installed a manual switch butto, solving the problem caused by if the cast of the motherboard Button Switch machine interface switch fail. May also be used for windows x86/x64 system includes WinXP, Win7, Win8, WIN10. Need to install the rider to compatible with a variety of motherboards. Reset timeout 10 1270 seconds. You could use it as your requirements set up. Windows 10 PRO – Genuine/Original (Activated). System is prepared for mining. Optimized & professionally prepared. Claymore’s Dual Mining Software – automatic mining starts on Windows startup. OverdriveNTool – for overclock settings/tuning of GPU. TeamViewer ready for remote control/maintenance if needed. WHAT ABOUT THE HASHRATE AND POWER CONSUMPTION? The testing phase also allows me to get the best of the rig hashrate-wise. As you probably know, the silicon lottery is a thing, which means that every GPU unit has its own unique overclocking and hashing potential. That being said, Ive build more than a dozen of rigs and all of them end up having roughly the same specifications. The expected fluctuation in power consumption and hashrate is between 3% and 10%, depending on the coin. 6x GPUs Mining Rig Hashrate. Ethereum (Ethash algorithm): 177 Mh/s 185 Mh/s. Ethereum dual mining Decred: 177 Mh/s 185 Mh/s ; 4,500 Mh/s 5,500 Mh/s. Ethereum dual mining Siacoin: 177 Mh/s 185 Mh/s ; 3,000 Mh/s 3,500 Mh/s. Ethereum dual mining LBRY Credits: 177 Mh/s 185 Mh/s ; 300 Mh/s 400 Mh/s. Ethereum dual mining Pascal: 177 Mh/s 185 Mh/s ; 1,300 Mh/s 1,500 Mh/s. Ethereum dual mining Pascal Lite: 177 Mh/s 185 Mh/s ; 1,300 Mh/s 1,500 Mh/s. ZCash (Equihash algorithm): 1,600 H/s 1,700 H/s. Monero (Cryptonight Algorithm): 4,000 H/s 4,500 H/s. Bitcoin Gold (Equihash algorithm): 1,600 H/s 1,700 H/s. 6x GPUs Mining Rig Power Consumption. Ethereum Solo Mining: 800w. Ethereum Dual Mining: 850w 1000w. ZCash Mining: 700w 800w. Bitcoin Gold: 750w 800w. This is done to make sure that you get the rig in perfect condition. This also allows me to make sure that all hardware is working as intended. INSTALLATION AND SETUP PLUG AND PLAY. All parts will be packaged separated. Assembly video will be included. Very easy to setup : Beginner friendly. Our mining rig is installed and configured by as follows. Windows/MiningOS installation with mining tweaks. BIOS mod & flash for all GPUs. Setup for highest stable hashrate possible. Mining rig stability no restarts, no hashrate drops or glitches, etc. Undervolting GPUs for the best power efficiency possible. Can be accessed remotely. Set up with different miners so your rig can work with different algorithms such as Ethash, Equihash, Groestl, X11Gost, Lyra2REv2, NeoScrypt, LBRY, Blake (2b), Blake (14r), Pascal, Skunkhash etc.. All you have to do is put in your wallet address! 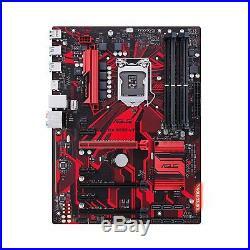 1x Asus Prime H270 Plus = RPR 115eur. 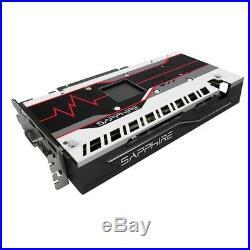 The item “ETH/ETC/XMR/ZCASH MINING RIG 6X GPU SAPPHIRE 580 8GB PULSE 180 MH/S 800W” is in sale since Monday, April 9, 2018. This item is in the category “Coins & Paper Money\Virtual Currency\Miners”. The seller is “gerakarma” and is located in Vilnius. This item can be shipped worldwide. Assembly date:: 2018 April. Brand New. OEM PARTS.